German physicist who co-invented the scanning tunneling microscope with Heinrich Rohrer. They shared the 1986 Nobel Prize for Physics with Ernst Ruska, who designed the first electron microscope. This instrument is not a true microscope ( i.e. an instrument that gives a direct image of an object) since it is based on the principle that the structure of a surface can be studied using a stylus that scans the surface at a fixed distance from it. Vertical adjustment of the stylus is controlled by means of what is termed the tunnel effect - hence the name of the instrument. American research physicist, who with his colleagues at Corning Glass Works, Dr. Donald B. Keck and Dr. Peter Schultz invented fused silica optical waveguide - optical fiber. This was a breakthrough creating a revolution in telecommunications, capable of carrying 65,000 times more information than conventional copper wire. In 1970, Maurer, Keck, and Schultz solved a problem that had previously stumped scientists around the world. They designed and produced the first optical fiber with optical losses low enough for wide use in telecommunications. The light loss was limited to 20 decibels per kilometer (at least one percent of the light entering a fiber remains after traveling one kilometer). He retired in 1989. Born 20 Jul 1897; died 1 Aug 1996 at age 99. Swiss chemist who, with Philip S. Hench and Edward C. Kendall, received the Nobel Prize for Physiology or Medicine in 1950 for his discoveries concerning hormones of the adrenal cortex, their structure and biological effects. With his co-workers, Reichstein accomplished the first isolation of four active hormones from the adrenal cortex, the first synthesis of one of them, the proof of the steroid nature of said hormones, and numerous details on the structure and properties of these important bodies. This made synthesis possible, leading to the creation of new medications.Name also spelled Tadeusz. Born 20 Jul 1894; died 2 Jan 1974 at age 79. U.S. automobile manufacturer, advocate of front-wheel-drive vehicles. Cord, still in his twenties when he arrived at the Auburn Automobile Company, had a talent for seeking and hiring young, innovative minds, full of drive and ambition. Cord was a brilliant, complex industrialist who helped personal and public transportation come of age. He is best known today for Auburn, Cord and Duesenberg automobiles, Cord's greatest talent may have been his unparalleled ability to construct an automotive empire durable enough to thrive during the darkest years of the Great Depression.Photo: 1929 Cord L-29 Sedan, America's first front-drive production car. Built by the Auburn Automobile Company, Auburn, Indiana. Born 20 Jul 1889; died 16 Jun 1971 at age 81. Born 20 Jul 1873; died 23 Jul 1932 at age 59. Born 20 Jul 1863; died 26 Jun 1934 at age 70. Jakob Johannes Sederholm was a Finnish geologist who pioneered the study of the Precambrian rocks of Finland. He was appointed geologist to the Geological Commission of Finland in 1888, where later he became its director (1893 to 1933). The Precambrian period ran from 3.96 billion to 570 million years ago. Precambrian rocks, called sheilds can only be found today in Africa, Europe, and North America. Not much of these rocks can be found, but the ones that are display evidence of having been altered by intense metamorphosism. The minerals that the sheilds are made of are generally granite, schist, or gneiss. Born 20 Jul 1850; died 23 Dec 1934 at age 84. Julius Friedrich Cohnheim was a German pioneer of experimental pathology who helped determine the morbid changes that occur in animal tissue affected by inflammation, tuberculosis, and other disease states. He demonstrated that inflammation was an active dynamic process. He was the first to scientifically classify tumors the way we still do today (ex. carcinomas, fibroma, sarcoma). Cohnheim proposed the first great theory of cancer's origin, the theory of embryonal rests. He thought more germ cells are produced with a developing embryo than are needed to form any given part and that cancer's development involves this excess material. 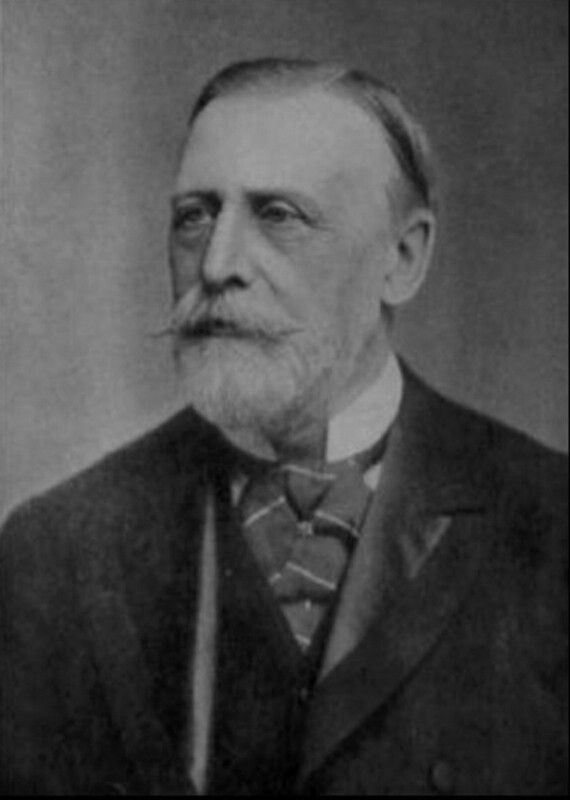 Sir Clifford Allbutt, by Alexander G. Bearn. - book suggestion. Born 20 Jul 1816; died 29 Mar 1892 at age 75. (1st Baronet) was an English surgeon and histologist who obtained a European reputation for medical research long before he was thirty years of age. He described (1842) the histologic structure of the nephron, the functional unit of the kidney, where the process of of urine takes place as a by-product of blood filtration that is carried on in the kidney. The "Bowman's capsule" of the kidney carries his name. The kidney contains millions of very tiny sacs called Bowman's capsules that filter blood to produce urine. He also made important discoveries concerning the structure and function of the eye and of striated muscle. He collaborated with Todd in writing The Physiological Anatomy. Born 20 Jul 1804; died 26 May 1877 at age 72. Died 20 Jul 2007 at age 89 (born 20 Apr 1918). Died 20 Jul 1922 at age 66 (born 14 Jun 1856). Russian mathematician who helped to develop the theory of stochastic processes, especially those called Markov chains, sequences of random variables in which the future variable is determined by the present variable but is independent of the way in which the present state arose from its predecessors. (For example, the probability of winning at the game of Monopoly can be determined using Markov chains.) His work based on the study of the probability of mutually dependent events has been developed and widely applied to the biological and social sciences. Died 20 Jul 1888 at age 40 (born 25 Jul 1847). Died 20 Jul 1870 at age 42 (born 22 May 1828). Georg Friedrich Bernhard Riemann was a German mathematician whose work widely influenced geometry and analysis. In addition, his ideas concerning geometry of space had a profound effect on the development of modern theoretical physics and provided the foundation for the concepts and methods used later in relativity theory. He clarified the notion of integral by defining what we now call the Riemann integral. He was an original thinker and a host of methods, theorems and concepts are named after him. Riemann suffered from tuberculosis and he spent his last years in Italy in an attempt to improve his health. Prime Obsession: Bernhard Riemann and the Greatest Unsolved Problem in Mathematics, by John Derbyshire. - book suggestion. In 1995, Inventure Place, home of the National Inventors Hall of Fame, is dedicated in Akron, Ohio (opens to the public 3 days later). The National Inventors Hall of Fame was established in 1973 by the U.S. Patent and Trademark Office and what is now the National Council of Intellectual Property Law Associations. The board of trustees of the National Inventors Hall of Fame decided on 3 Sep 1987 to relocate in Akron with a new building. According to their literature, "Inventure Place is dedicated to the creative process. We want to inspire you: through hands-on exhibits, interactive programs, special events, and every other fantastic experience we can dream up. At Inventure Place you are an artist, scientist, inventor, musician, tinkerer, film maker, discoverer, and creative genius. Discover the Inventor in You!" In 1976, America’s Viking I Lander spacecraft, launched 20 Aug 1975, made its successful, first-ever landing on Mars at Chryse Planitia, and began transmitting pictures. Later, a robot arm that could scoop up samples of material and deposit them into on-board experiments, investigated the hint of life on Mars. Both weathered top soil and deeper soil samples were tested. The image shows Chryse Planitia looking NW over the Viking 1 Lander. An antenna is at upper right. The wide, low plain is covered with large rocks, loose sand and dust. The image was taken on 30 August 1976, a little over a month after landing. Pictures from the mission included views of the Mars surface taken from the Viking 1 Orbiter from space. In 1960, the submerged USS George Washington off the coast of Cape Canaveral, Fla., executed the first test launch of a pair of Polaris missile from a submarine at sea. The target was more than 1,100 miles away. The Polaris has a designed range of 1,500 nautical miles and is capable of being launched when the submarine is hidden far below the surface. The George Washington was the first Fleet Balistic Missile submarine. Fitted with 16 tubes for Polaris A1 missile, the submarine was commissioned 30 Dec 1959, and de-commissioned 24 Jan 1985. The "Georgefish" and her crews made 55 deterrence patrols in both the Atlantic and Pacific oceans in her 25 year career.